Free Things For Teachers: I really need some counseling! I really need some counseling! This is a true story. 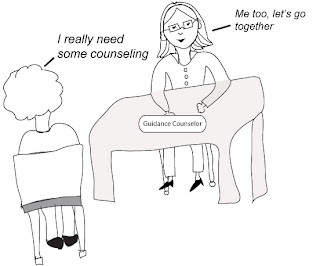 At the end of a long day, I walked into the guidance counselor's office, plopped down in a chair and said, (jokingly ), "I really need some counseling," and she replied, "Me too, let's go together."